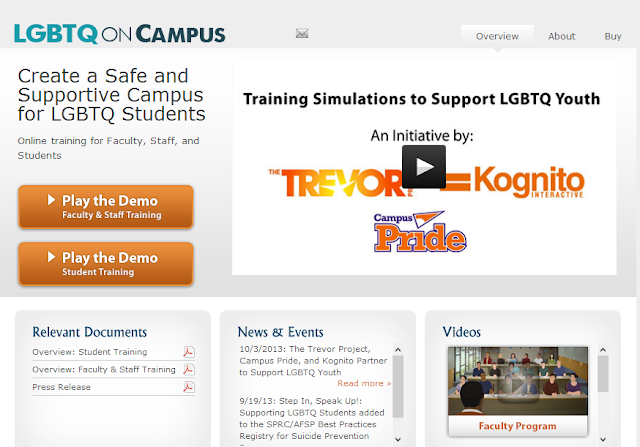 LGBTQ youth champions The Trevor Project and Campus Pride partner with award-winning developer of online training simulations, Kognito Interactive to create a trio of online safety net programs to support pre-teens through college age youth. As schools focus on bullying prevention in October, The Trevor Project, Campus Pride and Kognito Interactive today launch three new online training simulations about lesbian, gay, bisexual, transgender and questioning (LGBTQ) youth. These three important trainings for secondary and higher education staff and students build skills to support at-risk youth in the years when peer pressure, harassment and bullying can have the most devastating results. To view live demos of these trainings go to: www.kognito.com/lgbtq or www.kognito.com/stepin. Studies show a student’s environment and sense of safety at school and on campus impact academics, absenteeism and psychological well-being. Strikingly, 63.5% of LGBTQ youth in middle school and high school have felt unsafe because of their sexual orientation, and 43.9% because of their gender expression[i]. College students and faculty who identify as LGBTQ not only express significantly higher rates of harassment than their straight peers, but were also more likely to fear for their physical safety based on their sexual orientation or gender identity[ii]. With more attention focused on student safety and mental health support, programs like these training simulations can help improve school and campus climate, reducing risk and improving outcomes for LGBTQ students and staff. The online simulations are built using Kognito Interactive’s proprietary “Human Interaction Game Engine™” which is based on research in neuroscience, virtual humans, social cognition, and adult learning theory. 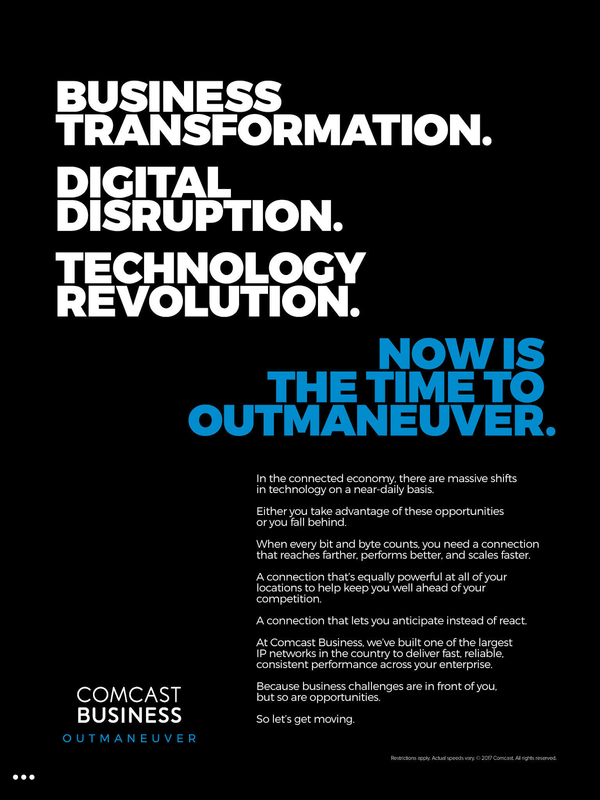 The simulations are available 24/7 online. They can be purchased for individual use at www.kognito.com/store, or they can be purchased by institutional buyers, such as colleges and universities, state agencies, schools and school districts. Founded in 1998 by the creators of the Academy Award®-winning short film TREVOR, The Trevor Project is the leading national organization providing crisis intervention and suicide prevention services to lesbian, gay, bisexual, transgender and questioning (LGBTQ) young people ages 13-24. Every day, The Trevor Project saves young lives through its accredited, free and confidential phone, instant message and text messaging crisis intervention services. A leader and innovator in suicide prevention, The Trevor Project offers the largest safe social networking community for LGBTQ youth, best practice suicide prevention educational trainings, resources for youth and adults, and advocacy initiatives. Learn more at TheTrevorProject.org. Founded in 2001, Campus Pride is the leading national educational organization building future leaders and safer, more LGBTQ-friendly colleges and universities for lesbian, gay, bisexual, transgender, questioning (LGBTQ) and ally college students and campus groups. Campus Pride is known for its landmark programs and services such as the award-winning Campus Pride Index, Stop The Hate Train the Trainer and Camp Pride Social Justice Leadership Academy. As the largest college student leader network in the country, Campus Pride serves thousands of college students and nearly 1400 campuses annually. Learn more at CampusPride.org. Kognito Interactive is a developer of role-playing training simulations that address national challenges in the areas of health and behavioral health. In Kognito’s online and mobile simulations, users learn effective tactics for managing challenging conversations aimed at changing health behaviors by practicing speaking with intelligent, fully animated, and emotionally responsive virtual humans. Kognito’s learning solutions have been adopted by 450 hospitals, universities, state and federal agencies to train over 1.5 million people in the U.S., Canada, UK, and Australia. Learn more and view demos at www.kognito.com.